Supercross Championship in his home town, on his way to finishing 2nd overall in the Australian Supercross Championship. “This year has been rewarding for many reasons, winning a round of supercross was important for me and the team. I am building a trusting home at Penrite Honda, my family is settling in at home in Mannum and I am back in the motherland after 18 years oversees. 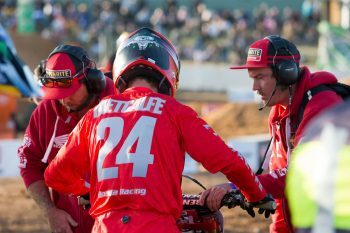 The bonus was finishing 2nd in the Australian Supercross Championship with a new team and on a new bike,” Metcalfe said. Although the Motocross Championship was challenging, it is clear the team are on track for a much stronger result next year. “We proved this year we could be competitive in Motocross. We were in the top three several times in races and we scored some podium finishes. As a team we were lacking consistency but we worked on that in the second half of Motocross season and in Supercross we turned a lot of things around which will better prepare us for next year.” Metcalfe added. The Penrite Honda team are pleased to have Metcalfe locked in for another year, feeling he is a great fit for their program and hope that he remains with them for the remainder of his career and beyond. “Brett and I have formed a trusting an open friendship and this certainly makes it easy to work together. It is astonishing to think he accomplished everything he did when you really know what he has gone through this year, moving his life back to Australia and spending a lot of time apart from his wife. He has such a resilience, something only great athletes have. He has a home at Honda and we believe in his talents, he is a proven asset on and off the track,” said Yarrive Konsky, Penrite Honda Racing Team director. At this stage, the team has signed Metcalfe to be their sole Motocross rider and are yet to decide if they will sign a second rider. “We want to do this properly and our focus is on Brett. 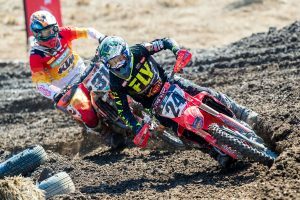 We may have a second rider to do selected rounds of Motocross but this is yet to be decided,” said Konsky. Konsky is equally excited about the documentary on Brett Metcalfe he has been working on. The documentary titled “Born to Race” is a compelling story. Metcalfe left Australia in 2000 to take on the world, he returned full time this year to begin all over again. He and his family have faced real battles and stayed together through love, acceptance and forgiveness. 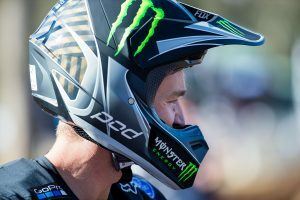 The documentary will be released before the end of the year and shows the making of one of Australia’s true Moto Champions. “This is something dear to me. People need to know Brett’s story. It will influence people, it will really make a difference and provide solid insight into what it’s like to chase a dream,” concluded Konsky.